The correct hearing aid can open up a whole new world of sounds. The Hearing Group offers a variety of hearing aids to ensure that you get the proper model, including Lyric hearing aids. Lyric hearing aids are the first extended wear hearing aids that fit deep into the ear canal to make them completely invisible from the outside of the ear. Go ahead – wear these devices for months at a time without worrying about removing them for certain activities. You can shower, exercise, sleep, and even use external headphones while wearing this hearing aid. You’ll enjoy better sound quality, with the ability to adjust settings and volume easily and as necessary. Lyric hearing aids have a special design that protects them from earwax and moisture, too. Even more, you won’t need to worry about changing batteries often! Patients in the West Orange, New Jersey area are welcome to make an appointment for an extended wear hearing device consultation. If your hearing loss makes you a candidate for a Lyric hearing aid, we can fit you for a risk-free trial on the day of your consultation. We won’t need to waste time with custom ear molds, because they aren’t necessary for these particular hearing aids. The fitting process can be completed as an outpatient procedure without the need for surgical procedures or anesthesia. You will walk out the door of our clinic with the ability to hear sounds you might not have heard in years. • They are created to fit inside the ear canal. The Biocompatible soft foam seals to provide safe and completely invisible hearing assistance. • They have a special coating technology. 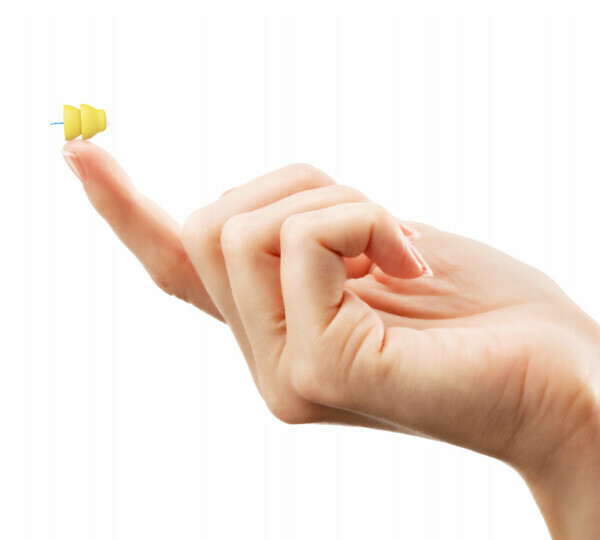 This proprietary coating actually seals and protects the device from all moisture and earwax. • They have an extra-long battery life. The Lyric battery will stay strong for months, so you will save money on hearing aid batteries and eliminate this hassle. • They have a programmable sound processing system. The Lyric design nestles the hearing aid right beside the eardrum. This configuration places both microphone and receiver inside the ear canal for optimal operation. The Hearing Group provides full-service hearing assistance from the moment you call us to the time you arrive in our clinic. We specialize in serving all clients, from children to adults and senior citizens. We also focus on educating our clients and listening to your concerns. Ask your questions, and we will take the time to help you understand everything about your hearing device. We provide hearing evaluations for senior citizens as well as a large hearing aid selection for people of all ages, tinnitus evaluations, and adjustment and repair of hearing devices. Our services also include custom earmolds for noise protection, perfect for swimmers, musicians and iPod users. Our patients also receive free batteries for the life of their hearing aids. Call us today for a consultation and get on the road to better hearing!